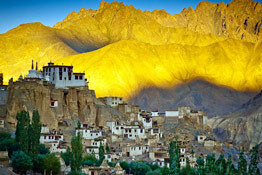 During the long course of its history, Ladakh was ruled by several dynasties who brought their culture, religion and traditions to this region, giving it a unique feature. 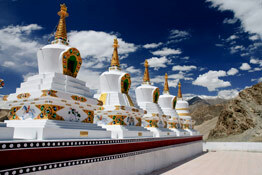 As far as religion is concerned, Buddhism is followed here by a major portion of the population. 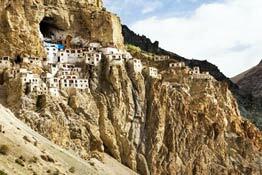 Irrespective of the rugged terrain and remote inaccessible areas, monks and preachers passed through them and built monasteries all over the place. 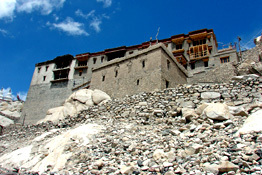 There are are innumerable monasteries in Ladkah, some in ruins while others are still in inhabited, running as educational and religious centers. 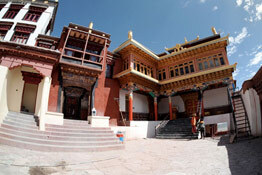 It is no exaggeration that these gompas are cultural and architectural delight. 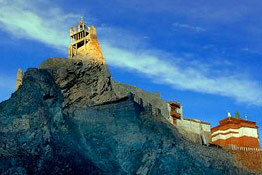 Most of these monasteries are ancient and world-renowned. 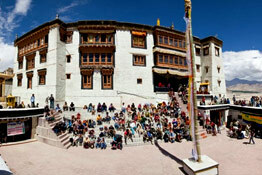 They are visited by both local and international followers of Buddhism in large number, every year. 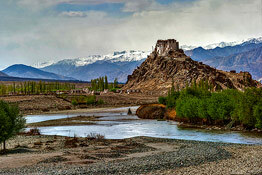 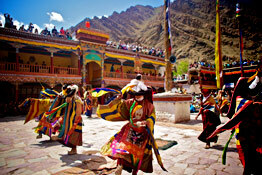 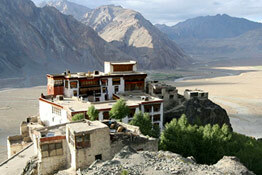 At Leh Ladakh India, we can have a number of excellent planned tour packages. 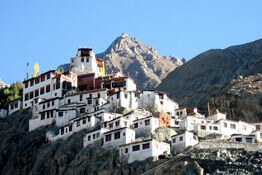 By opting any, you can experience the magnificence and grandeur of these serene sacred sites. 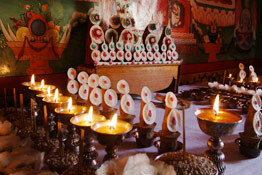 They offer an excellent opportunity to the traveler to savor the Buddhist culture. 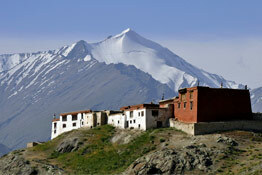 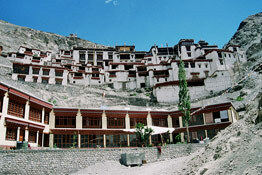 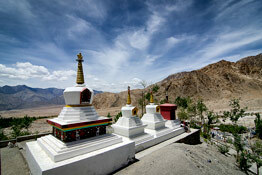 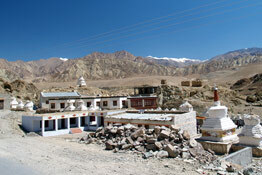 Most of the monasteries in Ladakh are situated on the hilltop. 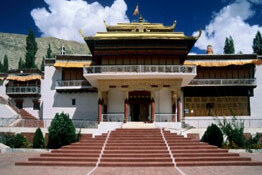 Their architecture is a perfect blend of Buddhist and Tibetan shills. 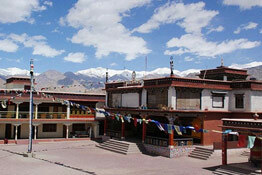 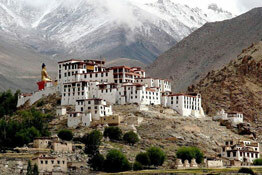 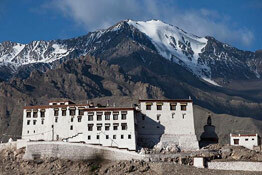 The page contains the links to monasteries in Ladakh, presented in a detailed manner.